Recorded at Artscape Daniels Spectrum (Venus Fest), September 30, 2017. The idea of a "feminist music festival" might bring to mind an earnest folkie gathering, maybe off in a forest somewhere, but this first annual event was nothing like that, using inclusive and intersectional ideals as guideposts to programming a day of wide-ranging musics. 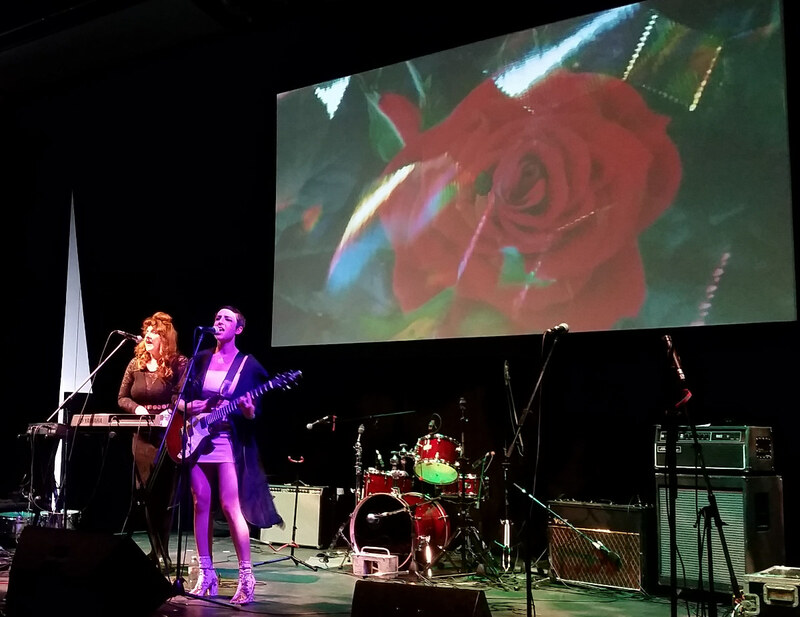 The brainchild of local musician Aerin Fogel, Venus Fest was an ambitious undertaking, presenting a dozen performances in Daniels Spectrum's spacious multi-purpose Regent Park digs. And it all came together quite wonderfully, highlighting a diverse slate of mostly local musicians and incorporating flourishes like Vanessa Rieger's live-mixed visuals. With this first festival completed, there's a new "sessions" series starting up, and lots of energy to build on the positive vibes this day released. Taking a break from guiding the festival along, Aerin Fogel managed to sneak in a quick set from her own dark dream-pop project. With her self-titled debut album now released online, there were some further developments to the live presentation since I last saw her — most notably the inclusion of Kritty Uranowski (formerly of Patti Cake, currently with Lavender Bruisers) adding harmonies and keyboards to the songs. There were some hip-shakers in the set, but things were at their best when they hit a sort of John Hughes soundtrack slow dance vibe like on this one.